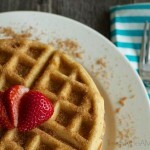 This Churro Waffles Recipe is a delicious breakfast idea that adults and kids alike will love! 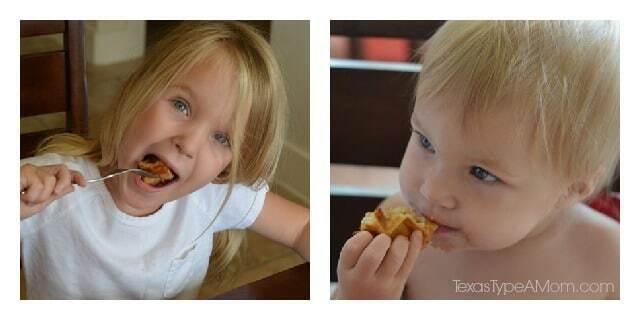 Both of my daughters love waffles. Store bought or homemade…it doesn’t matter to them. My husband and I, however, aren’t a fan of the frozen varieties and for the last few years, we’ve made homemade waffles a weekend tradition. Until recently we were using the boxed stuff. I’d like to stay because we didn’t know any better, but really it’s because we’re lazy and the homemade variety seemed like way too much work. We liked our weekly waffle tradition but weren’t in love with the waffles. So I went to work concocting a waffle recipe that’s light and fluffy and can be made ahead of time. Just like the boxed stuff. So then we can enjoy homemade waffles whenever we want! One weekend when we realized we were out of syrup and went to the pantry to find something else. That way we could use to still have our Saturday breakfast. I figured since cinnamon and sugar go so well on toast and well, on churros, that adding it to waffles would be a natural transition! Just like…churros. And so, this churro waffles recipe was born! It’s perfection and there’s no need for syrup. Although if you’re a sugar fiend or a child you still might grab the bottle. Otherwise, churro waffles might just be the perfect sweet, dessert-like breakfast food. In a large bowl, mix together eggs, sugar, vanilla extract, butter, salt, flour, milk, baking powder, and cinnamon until well combined. Lightly coat waffle iron with cooking spray and spoon approximately 3/4 c. to 1 c. batter onto waffle iron for each waffle. While waffle is cooking, combine cinnamon and sugar for the churro topping together on a plate. Once waffle is done, coat each side with melted butter or butter spray and then roll in churro topping. Breakfast is ready! If this isn't enough sugar for you, you can also serve this with syrup. My girls just loved these waffles! My oldest daughter now requests these several times a week and never even has to use syrup. I think my youngest is convinced she’s getting dessert instead of breakfast on mornings that I make this recipe and is more than happy to finish her entire breakfast! And as delicious as these are, my husband and I don’t complain when we’re eating churro waffles for the second or even third time in a week. 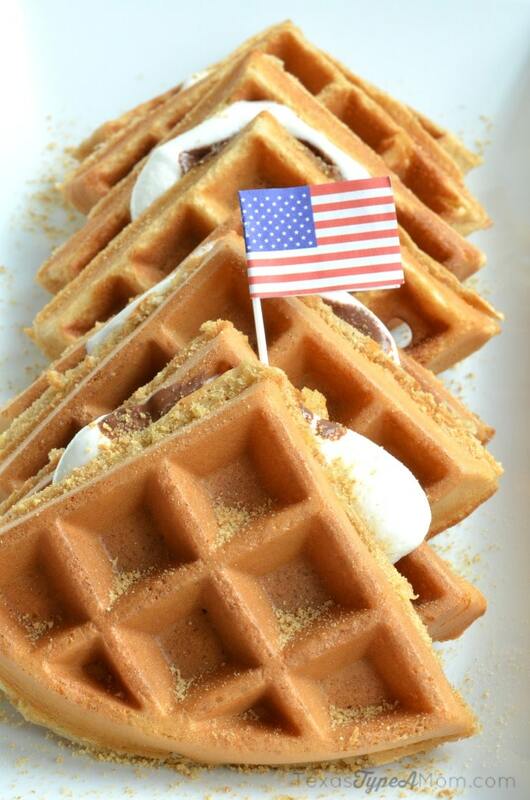 You can keep thinking beyond syrup on your waffles with this easy S’Mores Waffles recipe as well! This looks absolutely delicious!! Thanks for sharing! I want to try the Dutch baby pancakes. That looks easy for me to make. This sounds so good, yet so simple to make…definitely going to try! i’d like the coffee infused cupcakes with frosting. The chili parmesan popcorn and peanuts look great. I have to try the coffee infused cupcakes with frosting!!! i like the coffee-infused chocolate cupcakes. low calorie too! My husband is a big cod fan so he’d probably enjoy Roasted Cod with Bell Peppers. coffee infused chocolate cupcakes sound amazing! One bowl chocolate chip cookies. This looks so good! I’d also make the sweet potato mash. I’d Love To Try The Apple Maple Upside- Down Cake Recipe! pizza style grilled cheese. sounds yummy! Those look great. We have been looking for a new waffle recipe. My boys like to eat them – and thankfully, they like them without the added syrup or jam. When we make them on the weekend, we make extra and freeze them – toast them up during the week for an easy breakfast for the boys. Thanks for sharing this recipe – I think we will have to give them a try. I’d love to try the Dutch Baby Pancakes! I would love to try the oven roasted herb chicken recipe. These look delicious! I will be over this weekend! Awesome! My sister just bought me a waffle-maker for my birthday (anyone who knows me knows I love breakfast) so this is going to come in handy! Thanks for the recipe and giveaway! The honey roasted sweet potatoes look great! The Stuffed Chicken With Goat Cheese sounds so good to me – thank you. I’d like to try the Tortilla-Crusted Chicken Breasts recipe! 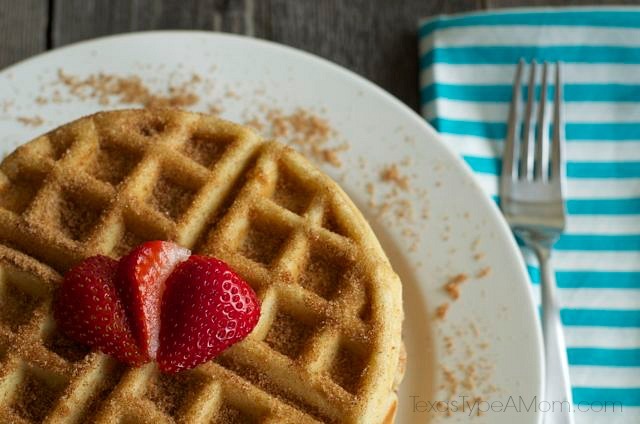 Your churro waffles sound awesome, too! I’d love to try the Mushroom Lasagna. Looks delicious. The coffee infused chocolate cupcakes sound like something my mom would love. pizza grilled cheese is interesting! I would like to try the Sweet Pea Autumn Casserole. I tried but the link did not work. The Apple Maple Upside-Down Cake sounds delicious and I’ve got it marked to try later in the summer. I would like to try the General Tso’s Chicken ‘N Broccoli recipe. I’d love to try the apple maple upside down cake. I’ve got to try the Dutch baby pancakes recipe! My guys love pancakes. I would like to try the coffee infused cupcakes. the Delicious One-Bowl Chocolate Chip Cookies. Thanks! Those Churro Waffles look incredible. I so need to give those a try! I love to bake and can’t get enough of coffee, so I would love to try out the Coffee-Infused Cupcakes with Frosting I found on the It is Good to Know website. I want to try the Snappy Chicken Wings. I like the cinnamon walnut power bars. I’d try the Tortilla-Crusted Chicken Breasts recipe. I’d love to try coffee-infused chocolate cupcakes! mmm!!! Sweet potato fries with a parmesan crust! I’ve seriously never thought of that! I want to try Easiest Ever French Toast. the chili parm popcorn look so fun! I’d like to try the tortilla crusted chicken breast. I want to try the baked chicken fingers. Your link from the rafflecopter doesn’t work for me…says bit.ly not found. But I’d love to make the Churro Waffles you made! Oh I would love to try the Oven-Roasted Herbed Chicken! I have made chickens in the past, but normally just cook them without spices on top…but have been looking for a recipe to try with spices! I cant wait to try this one! The mushroom lasagna sounds good. I’d love to make the mushroom lasagne. I would like to try making the Breakfast Pizza. the cinnamon walnut power bars recipe sounds good. That looks so yummy, a perfect breakfast to make for my guys! I would like to try the spicy oven fries. thank you!! I would like to try the Coffee-Infused Chocolate Cupcakes! Yum! the Grilled Chicken Sandwiches With Basil Aioli looks good! Love that your youngest thinks she is getting dessert instead of breakfast! I would like to try the oven roasted herb chicken. I would love to make the snappy chicken wings! Apple ‘N Cheddar Grilled Cheese. 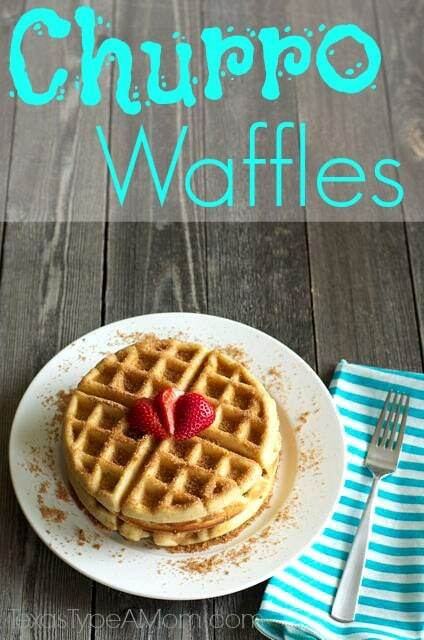 Your waffles look amazing! I’d love to try the Tortilla Crusted Chicken. Those look delicious. I am going to make these for the kids. I want to try the Pizza Grilled Cheese! Yummy! These look easy to make too. I like to make breakfast for my family on Saturday mornings (the rest of the time it’s cereal or oatmeal). I want to try these!